Comments: Navigation, Uconnect, 8.4 inch Touch Screen, Sunroof, Class IV Hitch Receiver! Our 1500 Classic's trim level is Warlock. Off-road chops and style for miles, this Ram 1500 Classic Warlock gives weekend warriors aggressive capability and exterior style with a new front end design, black tow hooks and black powder-coated bumpers. Daring good looks don't stop on the outside. 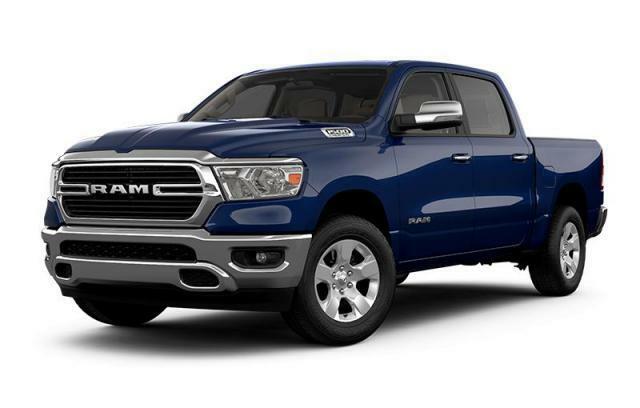 The Ram 2019 1500 Classic Warlock rocks an all-black interior with Uconnect 3 and bluetooth streaming audio for all your tunes, a rear view camera and remote keyless entry plus much more. This vehicle has been upgraded with the following features: Navigation, Uconnect, 8.4 Inch Touch Screen, Sunroof, Class Iv Hitch Receiver, Spray-in Bedliner, Heated Sets . View the original window sticker for this vehicle with this url http://www.chrysler.com/hostd/windowsticker/getWindowStickerPdf.do?vin=1C6RR7LT9KS618833. We've discounted this vehicle $2500. Total rebate of $16318 is reflected in the price. Credit includes up to 25% of MSRP Discount. 4.29% financing for 96 months. Payments from $572.54 monthly with $0 down for 96 months @ 4.29% APR O.A.C. ( Plus applicable taxes - Plus applicable fees ). Incentives expire 2019-04-30. See dealer for details.